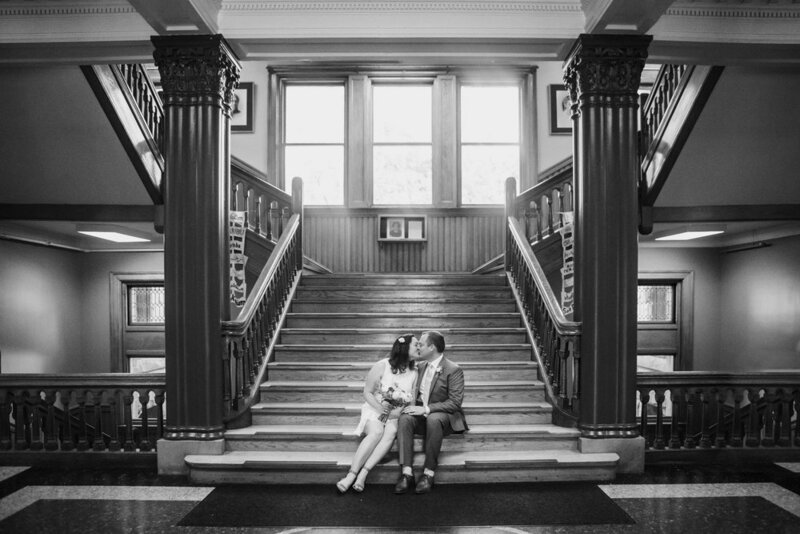 Eliza & John had a blast eloping at Cambridge City Hall this summer. They said their I Do’s, ran around Central Square, hopped over to the MIT Sailing Pavilion, visited Niche garden store, and met all their family and friends who traveled as far as Seattle for their intimate wedding reception at Bondir in Cambridge! Want to see more Cambridge City Hall wedding inspiration?